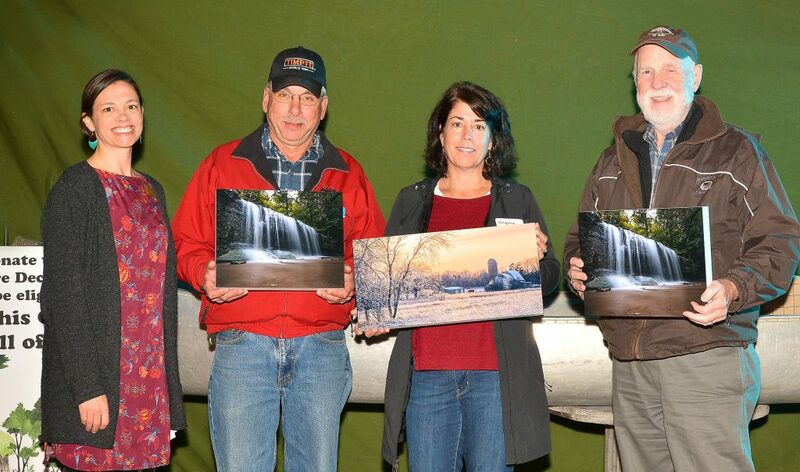 Tim Little, Virginia Lorang, and David McKee were named Cannon River Champions at the Cannon River Watershed Partnership (CRWP) Cider on the Cannon celebration in Dundas on Friday, Oct. 26, 2018. “Cannon River Champions are people who have been leaders in the community who used their skills to clean and protect our rivers, lakes, and drinking water,” said CRWP Executive Director Kristi Pursell. David McKee brought his business experience and nonprofit management experience to the CRWP Finance Committee. His ability to make complex ideas understandable has been a real benefit to the organization. Founded in 1990, CRWP uses educational programs, conservation projects, and hands-on activities to give people the knowledge, skills, and opportunities to “Make Clean Water Happen” in southeastern Minnesota. To learn more about CRWP’s clean water projects and programs, visit www.crwp.net.